Contact Us - Contact us through our website or just give us a call! Contact us through our website or just give us a call! Contact us on line by filling out the information below or just give us a call! If you are a current client you can click here to log into our Client Hub where you can view invoices, make payments and easily request service! Click CLIENT HUB for access! Wondering if we go to your area? 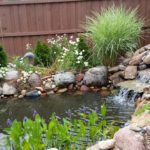 We take care of and build ponds across the Front Range! Check out our list of cities and map HERE. Filling out this information helps us help you! 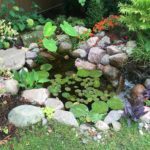 Building a waterfeature takes expertise. 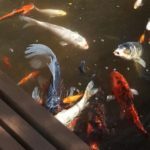 Companies that excel in building other things like outdoor kitchens and patios may not be expert pond builders. 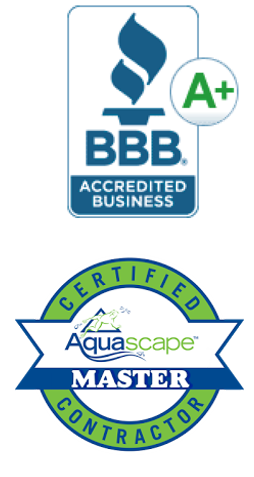 When you commit to a waterfeature build from your favorite landscape contractor, find out: * Are they Aquascape Certified? *What experience do they have in building waterfeatures? *What is their Better Business Rating?